Please Note: We Hunt Wild Hogs. 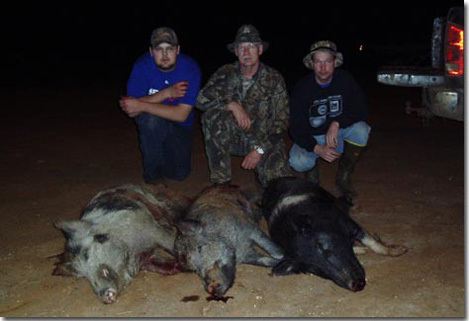 We are not a "Hunting Preserve"
enjoyable hunt for Wild Hogs, you've come to the right place! he Brush Country of South Texas is not only home to huge whitetails, it is also home to wild hogs, javelinas, bobcats, coyotes and a number of other animals which may be hunted every day of the year. Hunting these animals can be a great challenge. Our hunts take place on several different large ranches totaling 18,000 acres located close to the town of Pearsall, Texas (60 miles south of San Antonio). Hunting takes place during late afternoon/evening hours when these animals are most active. 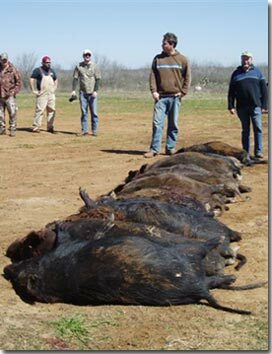 Methods of hunting wild hogs and javelina include spot and stalk, safari-style and still hunting over corn feeders and baited ranch roads. 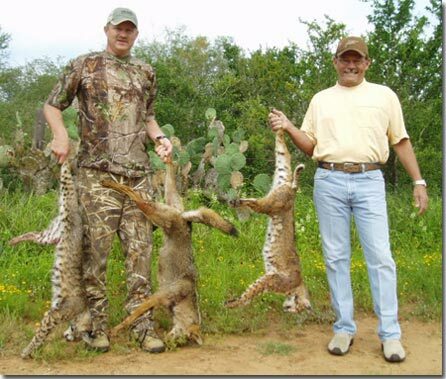 Coyotes and bobcats are common in the Brush Country of South Texas. We do not offer a Predator Hunt package at this time and we do not take our hunters out specifically to hunt Predators. 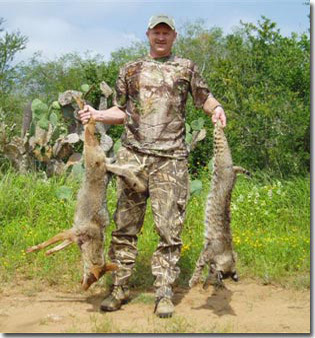 However, our hunters do run across and take a good many coyotes and bobcats while hunting for hogs and javelina. We offer a 3-day all-inclusive hunt. All lodging, meals, guides and transportation from San Antonio International Airport are included in this hunt. 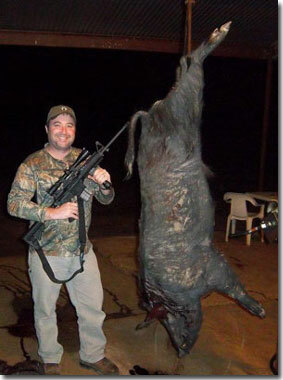 Hunters may take an unlimited amount of wild hogs and predators while on this hunt. Our larger boar hogs will weigh 250-350 pounds and can have teeth/tusks up to 3 inches long. Javelina may be taken as an extra for a fee on this hunt. 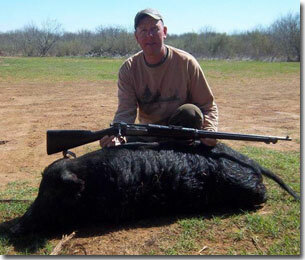 For those hunters who are more interested in hunting javelina and not wild hogs, we have a hunt just for you. This is a 3-day all-inclusive hunt for 2 javelinas and predators. This hunt takes place during early morning and late afternoons by way of spot and stalk, safari style and still hunting. We hunt out of 4-wheel drive crew cab trucks and suburbans. We normally will have 1 guide to every 3 or 4 hunters on this hunt. 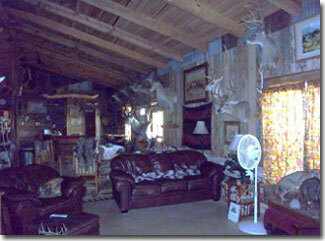 We are happy to accommodate rifle hunters, bow hunters, handgun and muzzleloader hunters. Bow hunting these animals can be a great challenge. We still hunt them out of tripods, brush-blinds, ladder stands and commercial ground-blinds. Spot and stalk can also be very productive. 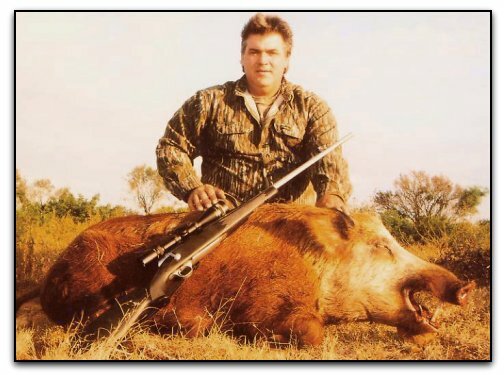 Hunting big trophy boars and meat hogs behind well-trained hog dogs is also available. Please inquire for pricing information. Field dressing, skinning and quartering of game animals can either be done by the hunter or we will do it for a fee. We charge $30/Hog, $50/Javelina, and $35 to skin out predators. We work with several reputable taxidermists and many of our clients leave their animals with us to be mounted. 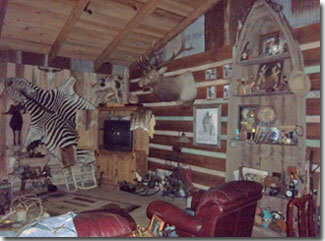 Our taxidermist will personally come to our lodge and pick up your animals while you are in camp. We have a very nice lodge with all the amenities of home. We are equipped with a walk-in cooler and freezers for keeping meat and hides cool. Upon arrival in camp, we will discuss shot placement on animals the over-all details of the hunt. Our main goal is to provide a fun, safe and exciting experience for our clients. Turkey hunting in south Texas is a great experience. 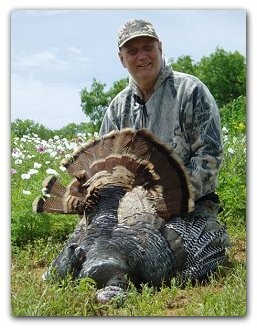 We have ranches located in the Leona and Frio River bottoms which offer great turkey hunting. These hunts include 2 Rio Grande Turkeys and 1 hog. This hunt is all-inclusive, which includes meals, lodging, San Antonio Airport pick-up/drop-off, skinning, quartering, transport of game to butcher/taxidermist, Open Bar and 1x1 guide service. The cost of this 3-day hunt is $1,300. You may take a 3rd Turkey for a $300 trophy fee. No place but Texas can offer you such a variety of animals. We have 77 species of exotic animals available for you to hunt. 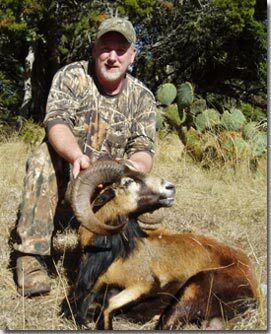 These hunts taken place on high-fenced ranches in the Texas Hill Country and deep south Texas. These hunts come with a $150/day daily rate with an all inclusive package, including San Antonio Airport pick-up/drop-off. Call us for Trophy Fee rates on specific exotic species. If you are already hunting with us on another hunt and wish to hunt exotics on the same trip, the daily rate is waived.